Sep. 30, 2016 Briefing Session for representatives from embassies, trade promotion organizations, and related groups was held. SCF／MCS TOKYO will make further progress in 2017. 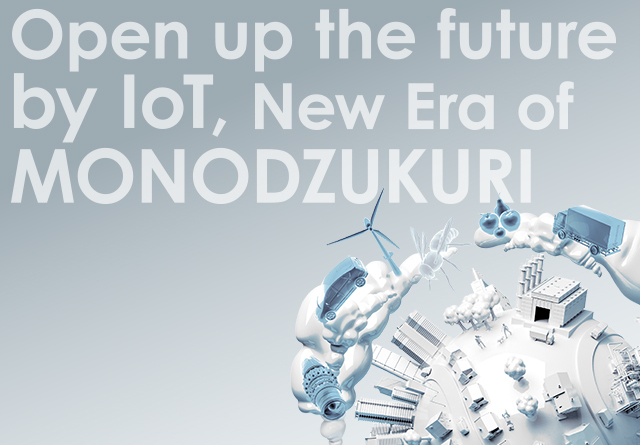 SCF2017 and MCS2017 TOKYO will be held together under the unified concept, “Major Exhibition of Cutting-Edge Technologies for Automation and Measurement - Open up the future by IoT, New Era of MONODZUKURI-” in 2017. We are continuing “The 4th Industrial Revolution –Getting Connected-“ and improving “MONODZUKURI IoT” from the concept to the practical use. Since the organizers are industrial associations, you will be provided the beneficial information. In addition, SCF2017 and MCS2017 TOKYO are the unique exhibitions to share the information between exhibitors and visitors and hold the business interchange. Application will be starded in December, 2016. We are looking forward to welcoming you at SCF / MCS TOKYO in 2017. Briefing Session for representatives from embassies, trade promotion organizations, and related groups was held. On September 27, a presentation was given to representatives from embassies, trade promotion organizations, and related groups, covering the outlines, features of the event and overseas pavilion exhibit. Representatives from many nations, mostly Europe and Asia, participated, engaged in an active exchange of opinions. The official website is now open!The latest and further information about application for exhibition will be on the official website. c/o Space Media Japan Co.,Ltd. ©System Control Fair / Measurement and Control Show TOKYO Executive Committee All Rights Reserved.